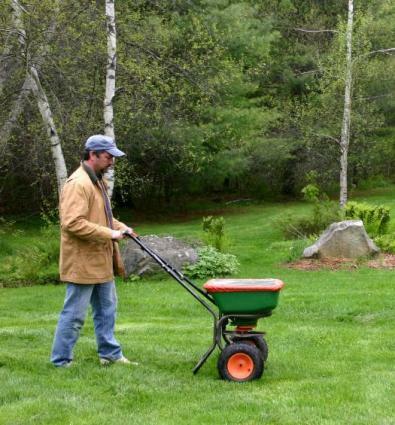 Fertilizer provides plants with the nutrients needed for healthy growth. In addition to light and water, all plants require 14 essential nutrients, and the absence of even one nutrient can limit the plant's success. The three most important nutrients are nitrogen, phosphorus, and potassium, often referred to as N, P, and K. The amount of these macronutrients present in a bag is usually expressed numerically as a percentage of the total contents. A 20-20-20 fertilizer, for instance, has 20 percent each of nitrogen, phosphorus, and potassium, as well as 40 percent of other elements, usually minor nutrients and some filler. The ratio of the three nutrients can be varied to provide specific results. An 18-51-20 mix, for example, is high in phosphorus to promote bloom and is often used in growing ornamental flowers. Fertilizers sometimes provide secondary plant nutrients (calcium, sulfur, magnesium), and trace elements (or micronutrients) like boron, chlorine, manganese, iron, zinc, copper, and molybdenum, as well as the three macronutrients. Many home gardeners test their soil to determine what nutrients are needed before applying supplements. Artificial, also called inorganic or synthesized, fertilizers are chemically produced, sometimes from petroleum products. Their primary advantage is the standardized content. They are readily available and easy to transport and store.Reliance on artificial fertilizers can lead to depletion of the soil, since they often do not replace trace mineral elements used by crops. This can result in fruits and vegetables that are significantly low in nutrition. Synthetic supplements also run off or leach from the soil very readily. This can lead to a variety of environmental complications. Organic fertilizers can be naturally occurring substances like worm castings, seaweed, and guano, or minerals like rock phosphate and limestone. They can be manufactured substances like compost, bone meal, or fish meal. They can even be "green manure", crops grown solely to add nutrients to the soil. Organic supplements depend on the microbial activity of soil organisms to break them down, which means that nutrients are released over a fairly long time period, resulting in steady plant growth. They generally contain lower concentrations of nutrients than do synthetic supplements, but they do perform several important functions that synthetic kinds do not. Organic fertilizers increase the organic content of the soil, which increases its water-holding capacity. Fewer nutrients are lost to run-off. Water from rain or irrigation is available to plants for a longer period. 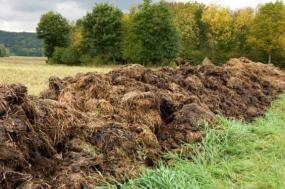 Organically-derived nutrients are slow to leach from the soil. Organic supplements actually improve the physical structure of the soil. This allows more air to get to plant roots. Organic supplements increase bacterial and fungal activity in the soil, particularly mycorrhizal fungi which make other nutrients more available to plants. Worms, which benefit the soil in many ways, are more likely to be present in organically-fertilized soil. Controlled release, also called sustained release or timed release, fertilizers distribute nutrients over an extended period of time. They are usually granular in form and are intended for application every three to six months. Organic supplements are naturally slow release. Fast release fertilizers make nutrients immediately available to plants, but they are also depleted rapidly. It is possible to damage or "burn" plants with fast-release supplements. They are usually water-soluble and intended for application every one to two weeks. If they are diluted sufficiently, they can be applied with every watering. The physical form of the supplement can affect the results. Granular and liquid formulations can be applied evenly, allowing distribution to the entire root system. Spikes and pellets concentrate the nutrients in one spot, but they are very convenient to use. Overuse of chemical fertilizers can lead to surface runoff (particularly phosphorus) into rivers and reservoirs or leaching into groundwater (particularly nitrates). Applying chemical supplements when the ground is waterlogged or the crop is not able to use the chemicals has the same result. This water contamination has caused health concerns in many areas. Excessive nitrogen applications can increase the birth rate, longevity' and overall fitness of some garden pests.